Jewels of South India, a tour package of 14 nights and 15 days, offers you a chance to visit some of the most well-known destinations of southern region of India such as Chennai, Mahabalipuram, Ooty, Trichy, Kochi, Madurai as well as Bangalore. 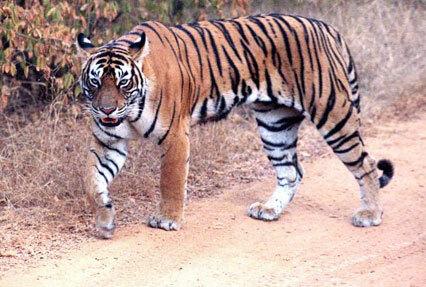 During the tour, you also explore the wildlife of this region at Periyar and Bandipur. One of the major highlights of the tour is a visit to Kanchipuram, a city with some of the most beautiful temples of South India. After arrival in Chennai, get an assisted transfer to your pre-booked hotel. The rest of the day is at leisure to indulge in the activities of your interest- you can interact with the locals, taste the local delicacies and explore the surroundings on foot. Stay overnight. 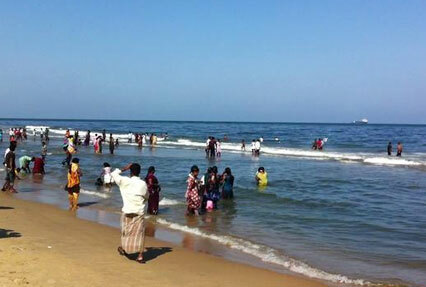 Today, get transported by road to Mahabalipuram, also known as Mamallapuram. En-route stop at Kanchipuram, a small town that houses some of the most beautiful temples of the southern region of India, the most famous one being Kamakshi Amman Temple. Later, proceed to Mahabalipuram. On arrival, indulge in sightseeing. Visit Mahabalipuram’s famous temples that may include Shore temple, Pancha Rathas, Varaha cave temple etc. Later in the day, get transferred to the railway station to board an overnight train to Trichy. Once you reach Trichy, get an assisted transfer to your pre-booked hotel. Take a tour of the city in the afternoon, post lunch. Visit the popular attractions such as Sri Ranganathaswamy Temple, Rock Fort Temple, St John's Church, Jambukeshwara Temple etc. stay overnight in the hotel. On day 4, post breakfast, hit the road to Madurai. Once you reach, complete the check-in formalities at your hotel. Spend the day at leisure. Indulge in the activities of your interest such as interacting with the locals, relishing the local delicacies, exploring the surroundings on foot. Stay overnight. Day 5, after breakfast is for a tour of the city. Pay a visit to the well-known temples that may include Meenakshi Amman temple, Koodal Azhagar temple, Vandiyur Mariamman Teppakulam etc. Also explore the other well-known tourist attractions like Gandhi Memorial Museum, Thirumalai Nayakkar Mahal etc. Overnight in Madurai. In the morning, after breakfast, get transported by road to Periyar Wildlife Sanctuary, also known as Thekkady. Sprawled in an area of 925 sq kms, this sanctuary is home to a variety of wildlife species. On arrival, check-in your jungle resort. Spend the day at leisure- enjoy a nature walk, admire the surrounding lush greenery, enjoy a boat ride in the Periyar Lake etc. Stay overnight in the resort. All of day 7 is for a wildlife safari into the park. During the safari, you can spot several animal and bird species such as tigers, elephants, barking deer, mouse deer, Dholes, mongoose, foxes, Bonnet Macaque, leopards, the rare lion-tailed macaque, darters, cormorants, kingfishers, the great Malabar Pied Hornbill etc. Overnight in Periyar. After breakfast, begin driving to Cochin. On arrival, check-in your pre-booked hotel. 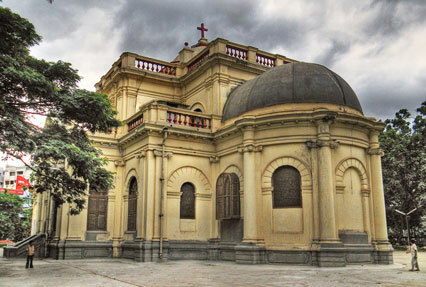 The afternoon is scheduled for a city tour that may include attractions like Mattancherry Palace, Santa Cruz Basilica, St. Francis Church, Paradesi Synagogue etc. Stay overnight. 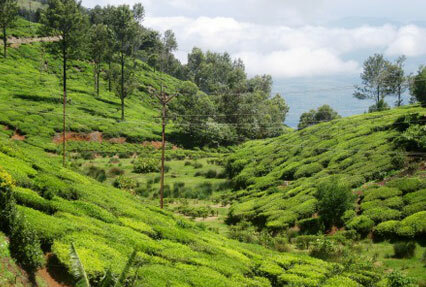 Today, after breakfast, begin driving to Ooty, popular as ‘Queen of Hill Stations’. On arrival, get transferred to your hotel. The rest of the day is free for leisure activities- interact with the locals, take a stroll around the tea gardens, treat your eyes to the surrounding scenic beauty, shop for souvenirs at the local market etc. Stay overnight. Day 10 is for exploring the attractions of this well-known hill town of South India. Visit the Ooty Lake, Botanical Garden, Dodabetta Peak, Tea Gardens, Lamb’s Rock, Sim’s Park, Dolphin’s Nose etc. Admire the surrounding lush greenery and snow-covered mountain peaks. Stay overnight. Post breakfast on day 11, begin driving to Bandipur National Park, well-known for a high population of the big cats. Once you reach, complete the check-in formalities at your jungle lodge. The afternoon is free, take some rest. In the evening, participate in jungle activities- tiger tracking, bird watching, trekking or a nature walk. Stay overnight. The 12th day is scheduled for 2 wildlife safaris into the park. During the safari, you can spot animal species like chital, gray langurs, Indian giant squirrels, elephants, Spectacled cobra, Indian rock python, vipers, rat snake and around 200 species of birds including honey buzzards, red-headed vultures, Indian vultures, flowerpeckers, hoopoes, Indian rollers. Stay overnight. Have breakfast and leave for Bangalore by road. On reaching, complete the check-in formalities at your hotel. The afternoon is for sightseeing that may include Lal Bagh, Bangalore Palace, ISKCON temple, Vidhana Soudha and other attractions. Stay overnight in Bangalore. Get on-time transfer to the airport to board a flight to Chennai. On arrival, get transferred to your pre-booked hotel. Spend the day at leisure in doing the activities of your interest- interact with the locals, visit the famous tourist attractions, taste the local delicacies etc. after dinner, get transferred to the airport. Get an assisted transfer to the airport to board a flight to your onward journey.